A friend of mine, the editor of Innovate, recently lost his mother to Pancreatic Cancer. This issue is in memorial of her and 50% of profits will be donated to the Pancreatic Cancer Research Fund. 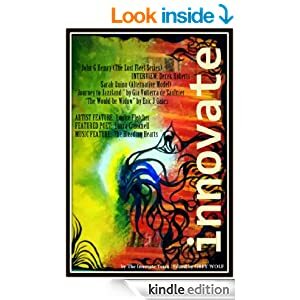 I contributed a sample from Lessons in Etiquette (I believed Innovate would come out ahead of publication) and many other writers have added contributions of their own. The Federation has endured for hundreds of years, but now it is dying, killed by the corruption and decadence of the Senate and the rising power of military warlords. The shipping lanes are coming apart, the colonists are revolting and outside forces are pressing against undefended borders. Now, as one warlord makes a bid for supreme power, the entire edifice is on the verge of falling apart. Two officers, bearers of a proud military tradition, may be all that stands between the Federation and total destruction. Admiral Marius Drake has fought for years to defend the Federation against the enigmatic outsiders. Now, he is charged with putting down a rogue warlord who has risen against the Senate and challenged its authority. If he fails, the schism will eventually rip the Federation apart. But with shadowy figures moving in the background, he knows it will not be easy to save the Federation from itself. Lieutenant Roman Garibaldi, newly-graduated from the Naval Academy, knows no other cause than the Federation. Human unity is a cause worth fighting for. 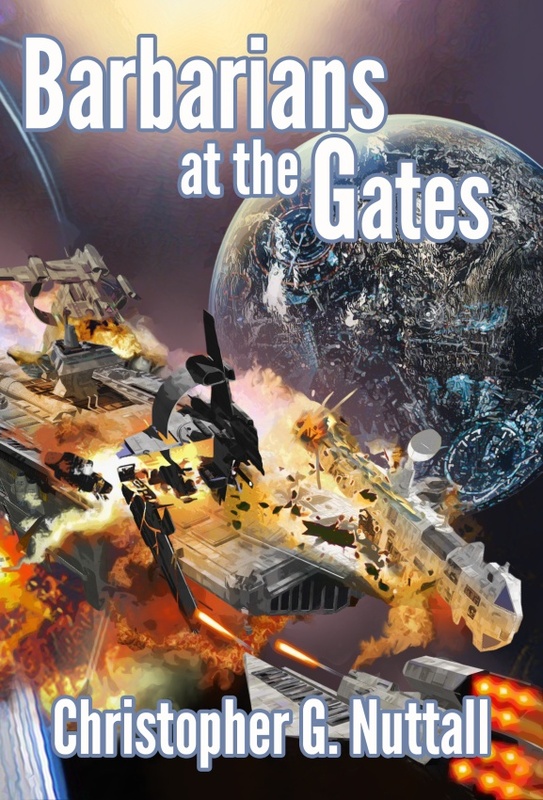 But as he faces the grim reality of interstellar civil war, and the exploitation of humans and aliens underlying the Senate’s vast power, he comes to realise that the price of the Federation’s survival may be more than anyone can pay. But with the Senate suspicious of any competent commanding officers, purging the navy on the slightest excuse, their success may condemn them to an inglorious death. Download a free sample, then purchase the ebook from the links on this page. Written in a moment of irritation, after reading the latest batch of political pamphlets. Well, not always, but he thinks he is. And therein lies the problem. If there is one advantage the British political system has over the American system, it is the existence of multiple parties of government. The Americans have the Republicans (centre-right) and the Democrats (centre-left). Both parties have their morons and extremists, people who should be quietly ignored, but their politics tend to blur together into an inoffensive mass. The prevalence of RINOs and DINOs is a symptom of the political dominance of both parties. Britain, by contrast, allows voters to gravitate towards their natural political parties, at least to some extent. A dissatisfied Labour voter can move to the Liberal Democrats. A Tory who thinks David Cameron has no balls can vote UKIP. To some extent, there are signs of political panic across the corridors of power as UKIP and the other minority parties seem to grow stronger. The recent attack on the UKIP as a so-called racist party is merely another sign of their fears. These days, with the word ‘racist’ used so often for so little cause, it is unlikely it seriously dented the UKIP. The question that should worry our political lords and masters is why people are gravitating away from the main political parties. This is not a minor concern. There are currently 650 seats in parliament, each one representing a constituency within the UK. If the UKIP was to gain control of a relative handful of seats, the position of the governing party would be seriously threatened. UKIP would be powerless on its own, but by swinging its vote behind the Opposition it could undermine the government. But there is a secondary concern. Let us assume that there are 100 voters in Swampscott Constituency. 30 of them are Conservatives, 30 are Labour and 30 are Liberal Democrats. The remaining are swing voters. They have no strong commitment to any of the three parties. If, however, they are angry at the Tories, they might vote elsewhere. So might diehard Tory voters. In that case, they will have effectively thrown the election to one of the other two parties. The Tories have noticed this. They’ve asked their voters not to vote UKIP because it will undermine the Tory Party. They are, in one sense, correct. In another, they’re being insulting to their voters. If the Tory Party is not doing what Tory Voters want it to do, why should they keep supporting the Party? Well … perhaps it has something to do with the Tory Party not supporting them. There is a problem with politicians that would be better suited to an ISP. They assume that once the deal is done, and someone is convinced to support their party, they will remain supporting their party. The politicians then go to the marginal voters and try their best to woo them, reducing their message accordingly. This annoys the voters who committed themselves … and they don’t remain committed. This leads neatly to the problems plaguing the EU as a whole. Political elites have been growing more and more apart from their populations over the last 30 years. Decisions that actively harm local citizens – or even the EU as a whole – have been taken in the interests of ideology. “You can’t keep out the country of Plato,” the EU bureaucrats argued, conveniently failing to do due diligence before allowing Greece to join the Euro. The whole single currency was a politically-driven nightmare from the start, rather than any form of sober union between economies on a similar level. Over Europe, the response is slowly taking shape. People are walking away from mainstream parties and throwing their vote to parties that promise to represent them better. And why not? Mainstream parties have lost touch with the ordinary voters, the ones who see the real problems facing the countries – and the complete failure of the politicians to tackle them. And what are these problems? The infrastructure of Britain is decaying rapidly through lack of maintenance. Terrorists and their families are supported by the British taxpayer. Benefits are completely out of control. The tax system is completely fouled up. Red tape is strangling the life out of private enterprise. Schools are decaying. Criminals are released early or not jailed at all, even when it is clear they will reoffend. Massive cuts in our military when we’re involved in a war that has yet to be brought to an end. Police forces reduced or used to enforce bureaucratic dictates rather than common sense. These are very real problems that affect the lives of countless British citizens. And what are the politicians doing about it? They mouth politically-correct platitudes and do nothing. If I was in a position to give David Cameron some advice, this is what I’d tell him to pledge for the next election. -Place term limits and recall elections on MPs. In particular, insist that MPs have to have lived in their constituency for at least 5 years before running for election. -Decentralise decision-making as much as possible. Schools, for instance, would run better if their headmasters were allowed to make decisions for themselves. It would also be important to see which ideas worked better than those that didn’t. Hospitals, also, could be run by their managers, with very clear punishments for major problems. -Give people a recourse against bureaucratic bullies. Bring back trial by jury for everyone, including local authority fines and suchlike. -Defend British principles, including free speech, freedom of religion and freedom of association. -Crack down hard on illicit immigration, Islamic extremism and anti-democratic activities. -An end to foreign aid. We have enough problems of our own here. -Hold a vote on EU membership. Get the matter settled, one way or the other. In truth, I’m not hopeful. One think that might have been missed by my readers is that I went to boarding school – and I hated every last minute of it. The experience pretty much left permanent scars on my soul. This may seem odd, seeing the boarding school in Schooled in Magic is a pretty good place, but it’s true. So it got me thinking about alternate ideas, including one that might serve as a carathis of sorts. It’s 2040. The economic crash put a far-right government into power in the United Kingdom. It’s basically a version of the early years of Hitler’s Germany, complete with increasingly mad leader, a police state and death camps for the unwanted. Among other things, the government has set up a series of borstals – boarding schools/jails for young men and women who are apparently too ill-disciplined to be allowed in normal schools. Our hero does something stupid – I’m torn between playing a prank that goes badly wrong or being caught shoplifting or something equally stupid – and gets sent there in lieu of jail. He thinks it’s a great adventure until he actually gets there, whereupon he discovers it’s a boarding school of horrors, the teachers are sadists, the other kids are worse and they’re basically in prison until they learn to toe the line. It isn’t unknown for kids to die there. You may recall that I posted an article some time ago about my problems trying to repay my student loan – a problem caused not by the shortage of money, but by the Student Loans Agency being unwilling to actually take the money. I wrote to them and offered to pay. They basically told me to wait (and keep collecting interest) until the end of the year, or jump through a series of hoops to prove I can pay. At this point, my accountant (in the course of doing battle with the dreaded tax return) told me that this was a tax headache and should be disposed of as quickly as possible. I forwarded the letter I’d been sent and asked for advice. My accountant rang the agency and managed to get them to actually send payment details. Clearly, people who have accountants are important. I never knew I was important before. Let’s say that again. I needed to get an accountant, who I wouldn’t have had if I hadn’t needed assistance with the tax return, to pry some useful payment details out of them. OK … so I followed the instructions and paid off all, but a tiny portion of my debt. I was told to wait and they would send me the final bill. And I waited. And waited … and nothing happened. Eventually, I checked with my accountant again and asked for details. They explained I had to call the agency myself this time. So I did. And they told me, after much hemming and hawing and security verification, that I owed the staggeringly preposterously enormously gigantic colossal sum of … £9.87. And I paid on the spot. The good news is that I no longer have any student loans. The middling news is that I have to call them again next week to get a certificate to prove it. The bad news is that the whole system is designed to make it hard to actually pay. But here is my point. I don’t like being in debt. If I have to take a loan, I want to pay it back as quickly as possible. And yet … paying a greater sum each month or even paying it off in one lump seems to be made difficult. What is the point of a system that hands out money freely, yet doesn’t even try to collect it? And then we wonder why we have economic trouble. Tom Brown’s Schooldays is one of those rare books that start a whole genre of British fiction. In its case, it started the Boarding School Story. These stories all tend to fit the same basic pattern; they’d set in a Boarding School and follow the adventures of the children as they grow from immature little brats to grown adults. Classically, these stories tend to range between stories praising wonderful schools (Enid Blyton was fond of those) and schools that are often a foretaste of hell. These stories have many different settings. Malory Towers was set in a girls boarding school; the girls had silly little adventures, played pranks on their teachers and treated sport as serious business. Jennings was set in a similar school for young men. Harry Potter and The Worst Witch were both set in Wizard Schools. There are Finishing Schools, Military Schools and Space Academies. The older the intended audience, the darker the books. Charles Dickens depicted one of the worst boarding schools in fiction in Nicholas Nickleby. And, I have to confess, Schooled in Magic falls into the same category. But because these books are about the schools, they tend to ignore a simple question. What do the pupils do on their holidays? Most boarding school stories rarely address this issue. The very format of the stories – following classes, sports and japes – tells against it. As I see it, the classical boarding school stories don’t focus on what the characters do away from school because it’s simply outside the story’s remit. When such stories do try to follow the characters into adulthood, they tend to have problems because the characters are shaped by the situation at school. Being in school offers all sorts of room for stories, but it also offers a framework for storytelling that is lacking in the outside world. Authors are often unable to handle their characters outside the school format, so they resort to flashbacks and brief moments of discussion to handle the issue. Why not? The story isn’t about what the pupils did on their holidays? When I devised the first set of plot arcs for Schooled in Magic, I decided I would try to avoid convention and have a set of books following Emily outside Whitehall School. Emily doesn’t live in our world, a world so familiar that it would be boring; she lives in a whole new universe. The Nameless World offers something stories set in our world can’t match – a whole new world to explore. And so I came up with the idea of an adventure in Zangaria. Personally, I would never have visited the homes of my fellow inmates at my boarding school. I saw enough of them during term time. And Emily would probably prefer to stay at Whitehall and spend her holidays in the library. But her closest friends are from Zangaria and so she is (reluctantly) dragged into travelling there for her holidays. For Emily, this is a step outside the controlled existence she knew at Whitehall – and one hell of a culture shock. She moves from a lower-class existence in America (and then a student lifestyle at Whitehall) to moving among the monarchs, princes and princesses of the Nameless World. Worse, perhaps, one of her friends is going to meet her future husband during the holiday, a husband she won’t have chosen for herself. And yet she thinks this is perfectly normal. And it may be Emily’s fault that the kingdom is teetering on the brink of collapse. 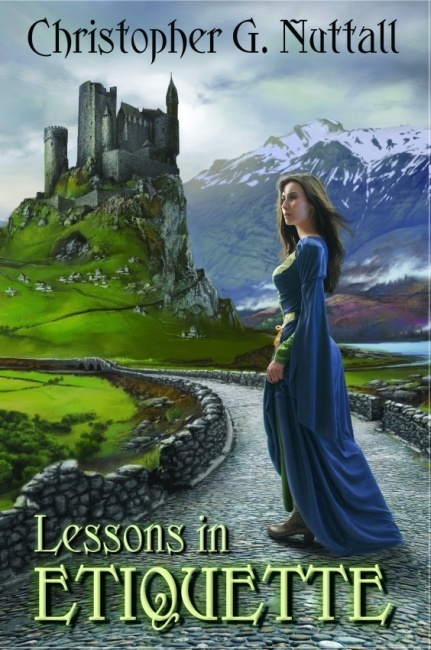 Lessons in Etiquette, Book II of Schooled in Magic, is available now. Download a free sample, then purchase it from the links on this page. For Emily, it is a chance to relax and explore a world very different to Earth, meet new people and come to terms with her reputation in the Nameless World. After her defeat of Shadye, everyone wants to know her, to talk with her, to kill her … or to marry her. But for Emily, hardly a social butterfly, the experience is disconcerting. She was never seriously courted before, not on Earth. But dark forces are at work, plotting to capture the Princess, take power in Zangaria … and undo all of Emily’s work. As all hell breaks loose, Emily may be all that stands between Zangaria and a return to the dark ages of brute force that threatened to lay the kingdom low, once before. And if she fails, her friends will be just the first victims of a war that will rip the Allied Lands apart. Download a Free Sample, then purchase it from one of the links here! And read the annotations here!